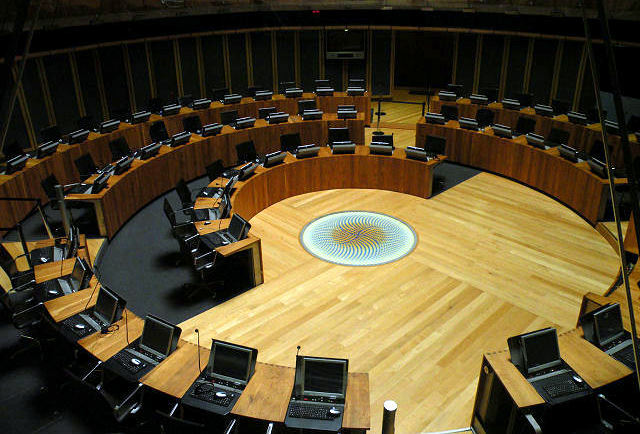 With the dust settling on the devolved election results last week and showing a 3% increase in turnout in Wales, now is a good time to explore the links between devolution and political engagement, particularly among young people, and ask what can we learn from this in the run-up to the EU referendum? In terms of young peoples’ democratic participation there are significant differences between Scotland and Wales. Young people in Scotland are more likely to turnout to vote than in any other nation for both devolved and general elections. The young Scottish population is also predicted a higher turnout for the EU referendum than any other region of the UK. 75% of 16 and 17 year olds turned out to vote on independence in September 2014. To add to this Professor Nicola McEwen of the Centre for Constitutional Change has highlighted the multiple ways in which young people in Scotland learnt about the Scottish independence referendum in 2014, showing low levels of consensus based opinion-making (taking on board facts which support your opinion). This shows a politically engaged young Scottish population, who translate this interest into democratic participation. The devolved Scottish Curriculum for Excellence could go some way to explaining this as since 2004 it has aimed to encourage: the development of young people as independent, creative and critical thinkers, confident in themselves, secure in their own beliefs and values, committed to active participation in society, respectful of others and willing to find solutions to local and global problems. In Wales however, the picture of youth engagement is mixed. On one hand only 39% of 18 to 24 year olds voted in the 2011 devolved Welsh elections, the lowest turnout of all age groups, and under 30s come fourth out of eleven UK regions in terms of likelihood to turnout on the 23rd June, lower than Scotland. On the other hand British Election Study data from the 2015 general election show 56% of 18 to 24 year olds in Wales and 56% in Scotland were ‘completely certain’ to vote compared with only 40% in England. Making young people in Wales and Scotland above average and young people in England below average 18-24 turnout of 43%. This implies that young Welsh people are less interested in devolution than they are in politics in general, while in Scotland less distinction is made between election types. In terms of the EU referendum, data collected as part of the 2016 Welsh Election Study by the Wales Governance Centre show 18 to 24 year olds living in Wales are more interested in the EU referendum (71%) than in the National Assembly for Wales (NAfW) election (50%). This also applies to those who are ‘interested in politics in general’ with 73% interested in the NAfW elections, and 91% interested in the EU referendum. For those who are ‘not interested in politics in general’ 15% are interested in the NAfW elections and 45% in the EU referendum. However, the picture becomes more complex when we look at the group’s satisfaction with democracy. 18 to 24 year olds are less ‘dissatisfied’ with democracy in Wales (38%) than in the EU (43%) and the UK (50%). The group also report the second highest level of dissatisfaction with UK democracy of all the age groups, coming after the 45 to 54 year old age group (51%). Interestingly the least dissatisfied with UK democracy are those over 65 (43%). In this data we can see a favourable attitude towards Welsh democracy among young people and a favourable attitude towards UK democracy amongst an older generation. A tentative explanation could be that under 20s in Wales have never known a time before devolution and are therefore less critical, a trend not seen amongst the general population in Wales according to Scully and Wyn Jones’ research on diffuse support for Welsh devolution. Another explanation could be the 21% of English-born people living in Wales, who do not feel represented by a Welsh Government because they do not feel ‘Welsh’. To explore this further, we split the data into 18 to 24 year olds who feel ‘very proud to be British’ and those who feel ‘very proud to be Welsh’. Those who feel very proud to be Welsh, are most dissatisfied with UK democracy (45%) followed by the EU (39%) then Welsh democracy (33%). The 18 to 24 year olds who are very proud to be British are most dissatisfied with the EU (38%) followed by the UK (34%) then Welsh democracy (30%). Both groups show low levels of dissatisfaction with Welsh democracy but young people who feel very proud to be Welsh are more dissatisfied with UK democracy. When we look at interest in elections, 52% of those proud to be British were interested in the devolved elections compared with 56% of those proud to be Welsh. For the EU referendum 74% of those very proud to British are interested compared with 68% who feel very proud to be Welsh. When we look at politics in general those who are very proud to be British are more interested (67%) than those who feel very proud to be Welsh (57%). The results highlight a slightly higher interest in devolution among those who identify as Welsh but highlights the generally higher profile nature of the EU referendum. While in Scotland political interest and democratic participation among young people does not differ greatly between ‘types’ of participation, interest in the NAfW election comes behind the EU referendum despite satisfaction levels being higher. This is interesting and again could link to the different curriculum in Wales, as explored by Dr Kevin Smith in his book on Welsh curriculum. It could also be a by-product of the constitutional structure of the NAfW which is developing at a different pace to the Scottish Parliament and as such did not achieve legislative power until 2010. With a growing interest in the impact of devolution on the political engagement and the increasing powers of the devolved Assemblies and Scottish Parliament, it is important to consider devolution as a factor in explaining young peoples’ democratic participation. While a wealth of literature exists on young people’s engagement in politics, elections and their views on devolution, there is still much to learn about the wider impact of constitutional change on the political engagement of a generation who has never know a time before it.